Valle de San Vicente, Viñales, Pinar del Río. 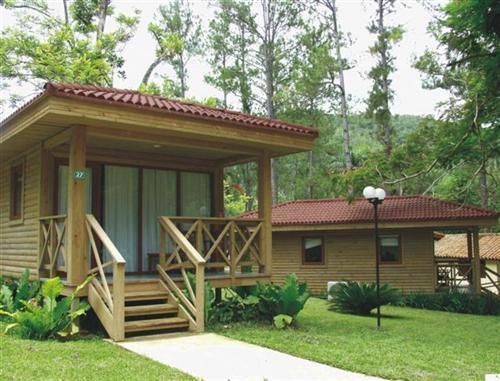 Hotel Description: Located in the most typical environment of the San Vicente Valley, 5 kilometers from Viñales, on the banks of the river of the selfsame name (with mineral, medicinal and hypothermal properties). Near such breath-taking spots as the Cueva del Indio and the Abra de Ancón. Guests can observe the local fauna and flora from the hotel, explore the underground caves and rivers or mix with the rural communities. Budget, Countryside Rancho San Vicente, Viñales - Hotel Details Address: Carretera a Puerto Esperanza km. 33. Viñales. 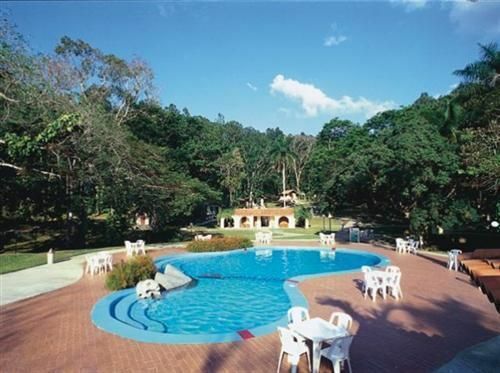 Pinar del Río Number of Rooms: 33 Breakfast included in price. Property Amenities: Bar, Garden, Parking, Medical Services, Swimming Pool, Restaurant Rancho San Vicente, Viñales Rooms: Standard Room Air Conditioning, Satellite TV, Room Service, Private Bathroom, Balcony or terrace, Twin beds, Power 110V/60Hz Check In Time: 02:00 PM Check Out Time: 12:00 M. Book our vinales cuba hotels online and save. No reviews for Rancho San Vicente yet.